Living next to a MILL, there was a time were bread was the only way to feed your family. Despite that, it was never enough. Rosetta was the older sister of 5 young brothers, all living in a small and humble house in the italian countryside. Back from endless workdays in the mill, she everyday used to bring a special bread to be divided equally by all brothers, to tech them the importance and joy from sharing and helping others. Finally one of the little brothers has grown up and decided to make a tribute to his childhood: thanks to a team of professionals his dream became reality and, as specifically requested, he was able to remain anonymous. The “Rosetta” is a specific type of bread pretty well known across different countries and probably the most recognizable bread in Italy. This specific “shape” of bread encompass a mix of values, tradition and history. 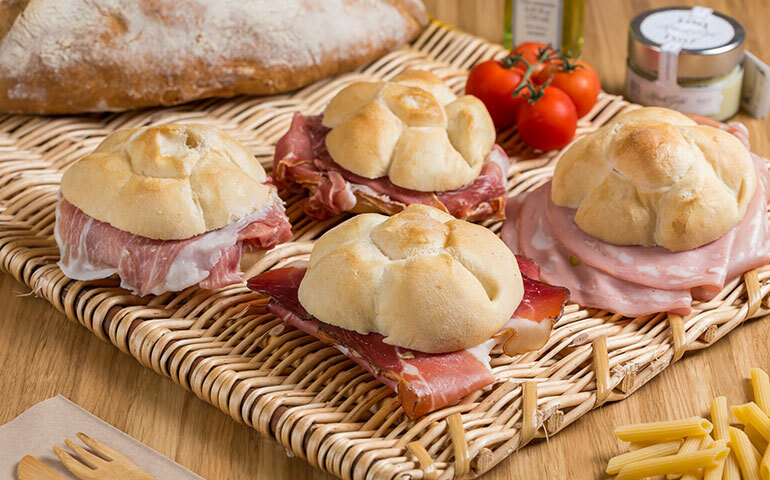 Nowadays the “Rosetta” or “Michetta”, is mostly used as a quick and genuine lunch break or afternoon break, filled with slices of natural ham or other cold cuts of Italian top quality products. Rosetta Bakery want to represent the art of baking since the ancient Italian bakers, the cult of healthy food, natural ingredients and most of all want to show the “behind the scene” of all these production’s processes. 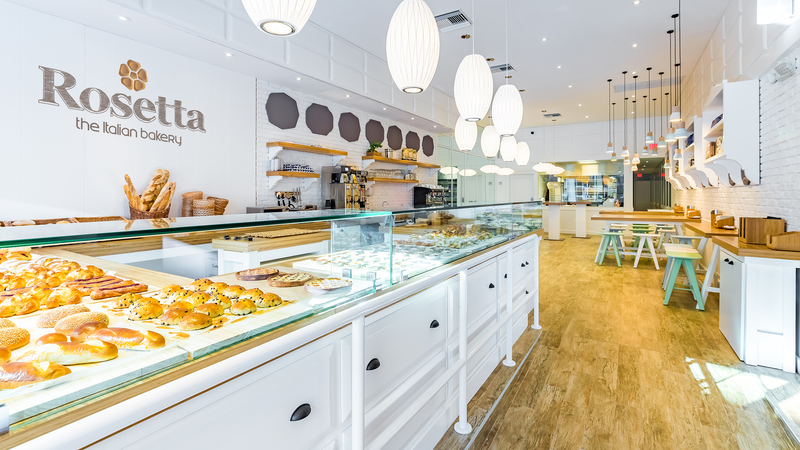 Rosetta Bakery has been conceived with the intent to be an official ambassador of the Italian art of baking, a genuine mix of history, highest quality ingredients exclusively Made in Italy and timeless traditions. Rosetta Bakery is all about quality of the ingredients and the highest standard in terms of production processes: each store have a “live menu” made of fresh products constantly baked in the kitchen which has a glass wall that allows people not being only customers but also audience of an unexpected show. 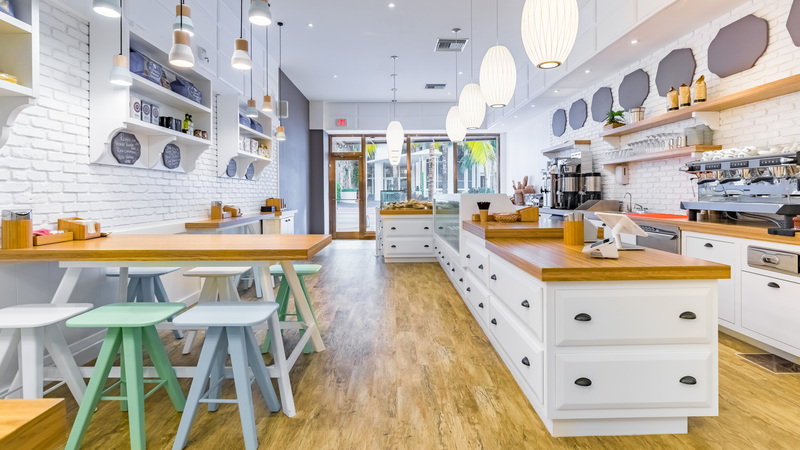 The idea behind the design of Rosetta is simple: a cozy and homey space where customers are able to choose foods directly from display, interact on community tables and experience the entire production processes thanks to a laboratory with a transparent window. Atmosphere is rural, cozy, definitely country-chic.